Consoles Aren’t Going Away and Mobiles Won’t Take Over. You wouldn’t have to be a reader for long to know that my preferred gaming platform is the PC but I’m pretty sure it comes as no surprise that I have all of the current generation consoles (apart from the WiiU, but I do have a Wii). I grew up with both platforms and arguably I was more of a console gamer when I was younger but as time went on I found that PC gaming just sat better with me. What I’m getting at here is that whilst I might be a PC gamer I’m certainly not one to call for the demise of the consoles and indeed believe that the platform will be around for quite a long time to come. Many people (me included) have been saying publicly that they think the ‘console’—dedicated hardware designed primarily for gaming—is on its way out. I used to keep a list of famous developers and executives who shared my view, but it got too big to maintain! Anyway, here’s just two whom you might care about: David Jaffe and Hideo Kojima. He then goes on to list 5 data points and 2 assumptions that back up his claim and on the surface they appear plausible. Indeed many of the supporting points are based at least partially on ideas that everyone involved in the games industry knew about but I feel the conclusions drawn from them are a little over-reaching, enough so that his idea that consoles are going away is at the least premature and at the worst grossly misinformed. Take for example the first data point about consoles being sold at a loss. This is no revelation as console makers have been doing this for decades prior and have still managed to turn a profitable business from them. Indeed while Nintendo might be breaking its usual rule of not selling consoles at a loss it doesn’t take much for them to become profitable with the sale of a single title enough to push it over the line. In fact if you look at the past 5 years things look pretty good for the major consoles, especially for Microsoft and Nintendo. I believe Cousins is being slightly unfair by going back further than that because those years were right at the beginning of the current generation console’s life and that’s arguably the point at which the greatest losses will be incurred. I’m also not sure how 40% of the sales occurring after the price drops supports his idea that these people are somehow the mainstream gamers. Taken literally that means that the majority, I.E. >50% of current gen console owners, bought their console before these price drops/product revisions occurred. I’d also argue that a portion of those new sales were also current owners upgrading older consoles as in the case of the Xbox the original was something of a jet engine when used and the subsequent iterations vastly improved that experience. I’ve heard similar tales from PS3 Slim owners as well so I don’t feel the “mainstream gamer” argument holds up with console sale figures alone. It’s not a secret that mobile devices are pervasive but it’s also quite known what they’re capable of and what their primary use is. Indeed console makers are aware of this and have been working to expand their console experience onto the mobile platform. Microsoft has long been working towards achieving their Three Screens idea which would see the experience between Xbox360, Windows Phone 8 and Windows 8 unified together enabling developers to provide the same experience regardless of the platform. We’re still a long way from achieving that and whilst smartphones do a good job of getting close to the console experience they’re still not in the same league, something which console owners are acutely aware of. The rest is speculation based off those points which I won’t bother digging into but suffice to say I don’t get the feeling that consoles are going to go anywhere in a hurry and I’m willing to say that there’ll definitely be several more generations to come. The mobile market might be growing but I believe it’s an additive market, one that’s bringing more gamers in not one that’s cannibalizing gamers away. There’s also the fact that consoles are increasingly becoming the media centre of the house, something that smartphones are going to have a hard time replacing. Still we’re both deep in speculation territory here so the only way to settle this will be to wait it out and hope that both our opinion pieces are still online in a decades time. The Future of Console Gaming. Even though in my heart I’m a PC gamer I was never without a console growing up. For the most part I was a Nintendo kid, seeing every console from the NES upwards making its way into my family’s living room. That changed when I had my own job and enough money to buy a PlayStation 2, secluding myself away in my room to play Gran Turismo for hours on end trying to justify the $700 odd sum I had spent on this magnificent piece of hardware. Nowadays you’ll find every major console lining up beside my TV so that I can indulge myself in any title regardless of its platform. The past couple decades has been quite an interesting time for consoles. They really came into prominence after the release of the Nintendo Entertainment System back in 1985 (2 years later for us Australians) and Nintendo continued to be highly successful with it’s successor. Their reign as the king of consoles came to an end with the release of the original PlayStation back in 1994 which saw Sony catapulted to the top of the console kingdom. Microsoft, seeing a great opportunity to compete in the gaming market, released the Xbox back in 2001 and whilst it didn’t dethrone Nintendo or Sony it enjoyed some mild success in the market, even if it wasn’t a success financially. 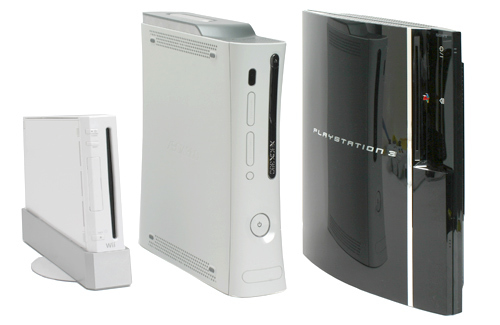 The release of the PlayStation 2 kept Sony at the top for quite a while as neither the Xbox nor Nintendo’s GameCube could hold a candle to it. The current generation of consoles saw another shift in the king of consoles crown, but not for the traditional reasons that gamers had come to expected. Whilst the PlayStation 3 was a technical marvel the Xbox360 hit the trifecta of price, performance and catalogue of good platform exclusives that helped build it up to the success it is today. Neither of them however could hold a candle to the success that is the Nintendo Wii. Aiming at their largest untapped market Nintendo created a console that appealed to non-gamers and gamers alike. The result being that they couldn’t manufacture the things fast enough, seeing wide spread shortages for the console that only helped to sustain the fever pitch surrounding it. With a grand total of 90 million consoles sold to date it’s well on its way to be the most successful console ever released, although it still has a long way to go to match the PlayStation 2 (coming in at a whopping 153 million). The next generation of consoles is still some ways off however. 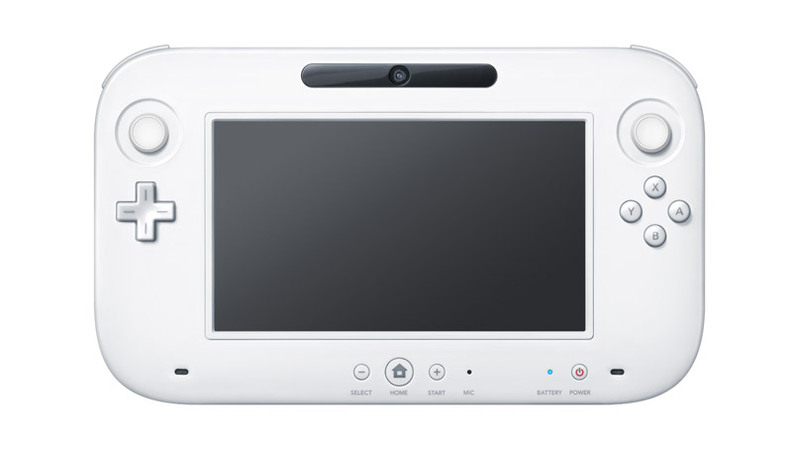 Traditionally you’d see a new console generation every 5 years but the only ones with any official plans so far are Nintendo with their Wii U console which isn’t slated for release until sometime next year. Granted the current generation of consoles has aged far better than any of their previous generations what with developers finding all sorts of optimizations to squeeze extra performance out of them but even the best programming can’t hide the aging hardware that’s running in these consoles. It is then up for debate as to what the next generation of consoles will look like and there’s speculation that it may be the last. IG: It’s always tough to completely change the way you look at things. The bigger the company, the more conservative they tend to be. Do you think consoles as we know them are doomed, or are we going to get a new generation, or is it just becoming irrelevant? RGC: I think we might get one more generation, might, but I think fundamentally they’re doomed. I think fundamentally the power that you can carry with you in a portable is really swamping what we’ve thought of as a console. IG: If we’ve got a smartphone that can do Xbox level graphics, which we’ve almost got, and I can hook that up to a TV and use a controller, what’s the difference between that and a console? It’s just whatever games are available. RGC: Yes, exactly. That’s why I think there may be one more round of consoles left, but not many. The idea of consoles going away isn’t a new one, hell there was a time when everyone thought the PC would be the dominant platform for all time, but them being replaced outright by mobile devices is a new one on me. For starters whilst you can get current Xbox level graphics on a handheld it’s always going to be a game of cat and mouse as to how far ahead the consoles are. Realistically current smart phones capabilities are only catching up to what was possible 5 years ago, not what’s possible today. Indeed once the next generation of consoles is released the smart phones (and other portable entertainment systems) will again be behind in terms of technology. The fact of the matter is you can’t shoe horn current generation technology into a portable form factor so I doubt we’ll see the loss of consoles after the next generation. 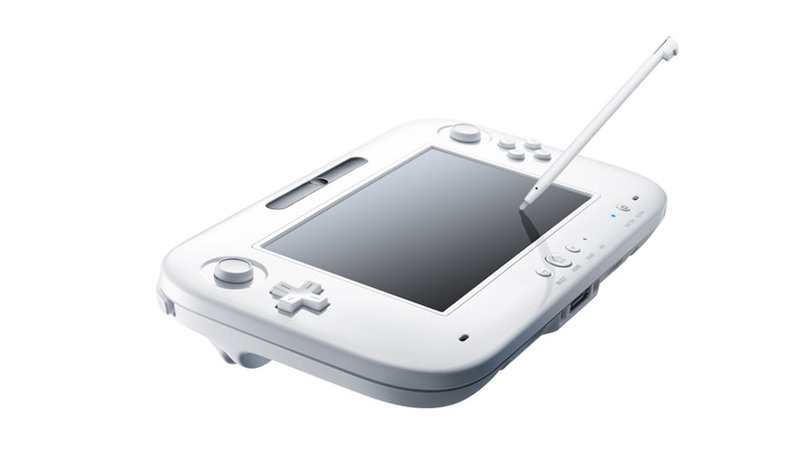 Although there is potential for the console market to be shaken up somewhat by the portable industry. 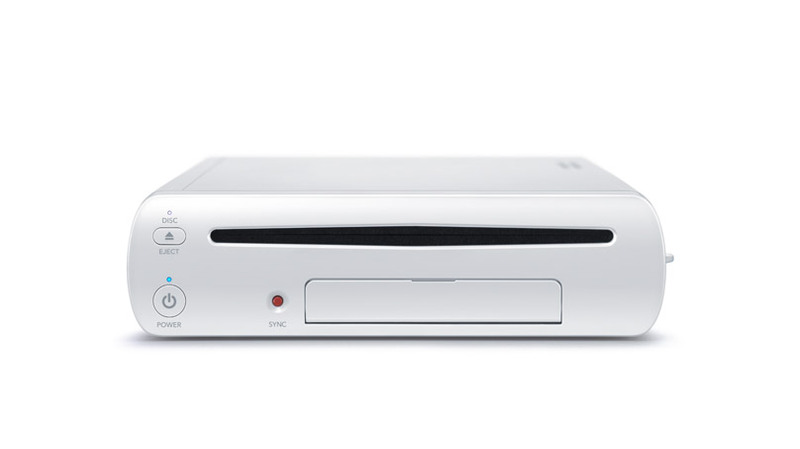 The Wii showed that a console can succeed without having cutting edge technology in it (the Wii is basically a GameCube on the inside) and it’s that same market that gobbled up the Wii that will turn to other places for their gaming fix. Whether this will make the transition into some form of home based entertainment like consoles currently do remains to be seen however, but there’s definitely potential for it to happen. As for the the future of console gaming? More of the same I believe. Whilst we may have seen some technical marvels in the form of the Wii, PlayStation Move and Kinect the bread and butter of these consoles doesn’t appear to be going anywhere, even in the face of challengers like the iPhone. For the non-gamer market however there’s a strong possibility that they’ll shift away from their Wiis in favour of their smart phones or tablets but there’s still a massive market that will crave the better graphics and performance that can only come from a console. Move, Kinect and Wii: Not in my Living Room, Please. On a technical level I’m in love with motion controllers. They represent quite a few innovations that until just recently were out of the reach of the every day consumer. The release of the Wii put cheap, relatively accurate motion detection in the hands of hackers all over the world and saw the technology spread to many other sectors. Whilst I haven’t given any love to Microsoft’s Kinect the possibility of being able to do your own in home motion capture with the camera that powers it is a pretty cool prospect and I know it won’t be long before the hackers get their hands on similar tech and start wowing us with the applications. 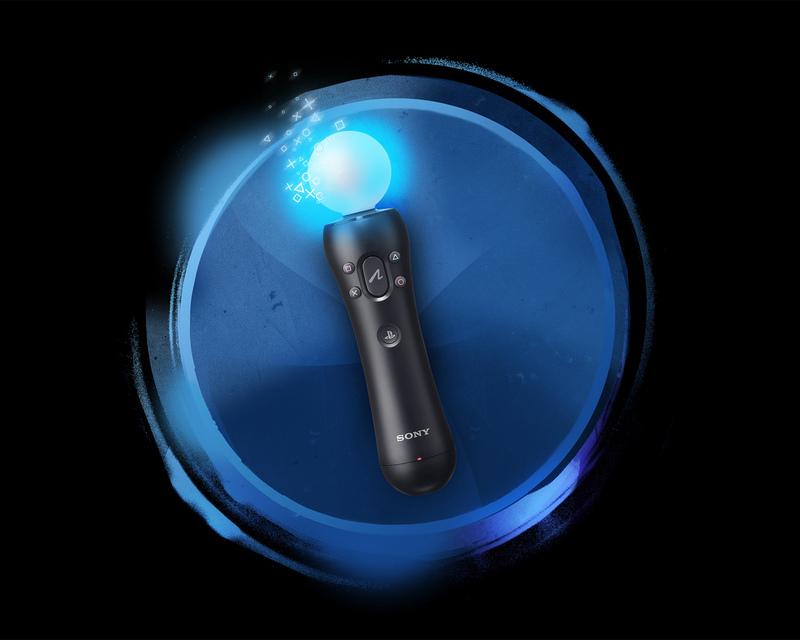 We already know my stance on the Playstation Move, with its oodles of technology packed into a hand sized magic wand. Still if you walk into my living room that’s adorned with consoles, computers and all kinds of gadgets and gizmos the only evidence you’ll find of me having any interest in this area is a single Wiimote controller hidden away in a drawer with no console in sight. I only have the controller as my previous house mate was the one who bought the Wii and stubbornly refused to buy any more controllers for it. Wanting to actually play some games I forked out the $100 to get one but later ended up co-opting it for all sorts of nefarious purposes, using it to play World of Warcraft and a semi-successful attempt at using head tracking in EVE online. After we parted ways though I hadn’t had any compelling reasons to buy a Wii console save for maybe Trauma Center which I was only ever able to locate twice but never made the jump to purchase. It’s not like I’m above buying an entire console for a single game either, I bought a Xbox 360 just for the chance to play Mass Effect the day it came out. More it’s that nearly every game on the Wii that I’ve wanted to play has either had a cross platform release or has been nothing more than a passing curiosity. I’d even told myself at one point that when they brought the black version of the Wii out I’d purchase one (it would match my PS3 and new Xbox 360 if I got one) but even after that happened I still couldn’t pony up the cash to get one, it just felt like a waste of money. It could be that I really haven’t been giving my consoles a whole lot of love lately. The last two console games I played were Red Dead Redemption and Alan Wake, both engaging games but since then my attention has almost entirely been captured by Starcraft 2. I must admit I was intrigued by the prospect of replaying through Heavy Rain using the Move controller but other than that I don’t think there’s any other games out there that make use of motion controllers that I’d actually find appealing. In fact looking over the catalogue they all look to be aimed at a certain demographic: those who are traditionally non-gamers. This really shouldn’t come as a surprise as that’s the exact strategy Nintendo had when they first released the Wii, focusing more on the non-gamer crowd and heavily promoting the social aspect of it. As the Kinect and Move are both reactions to the Wii’s success it follows that their target demographic is identical as well. For the long time gamers like myself this hasn’t really endeared the motion controllers to us as the games really aren’t designed for us. Sure there are some notable exceptions but for the most part those who identify themselves as gamers probably won’t be investing too much in these new fangled exercise inducing devices. That doesn’t mean they won’t be successful however. There is the chance that these motion controllers will make their way into my living room by virtue of integration with other products. I’ve been eyeing off one of the newer Xbox 360 for a while now as it’s quite a looker and has the benefit of not sounding like a jet engine when it’s loading a game. My natural engineering curiosity will probably see a move controller work its way into my living sometime in the future as well but until someone demos some cool hack that I just have to try it will be a while before that comes to pass. The Wii will more than likely stay on the back burner for a long time to come but there’s always the chance of a Mass Effect event happening that overrides the more frugal parts of my brain. Call me old fashioned but I’m still not convinced about the whole motion controller thing. Sure there are some games where its highly appropriate (light saber battles anyone?) but overall motion control always feels like a tacked on extra rather than an integral part of the game play. There are some good examples of it being used to augment game play, Heavy Rain being one of them, but for the majority of the games they get by quite well without adding any motion at all. This hasn’t stopped Sony and Microsoft collectively soiling their pants when the Wii was announced and went on to smash their respective consoles in sales (and indeed they were making money on each console instead of losing like they were). 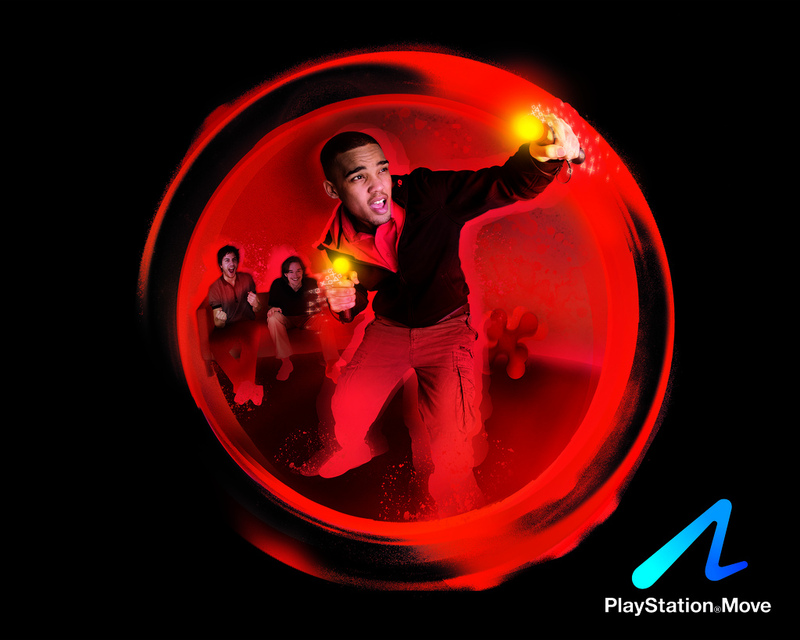 The PlayStation Move motion controller offers a motion-based, High Definition gaming experience unlike anything on the market. 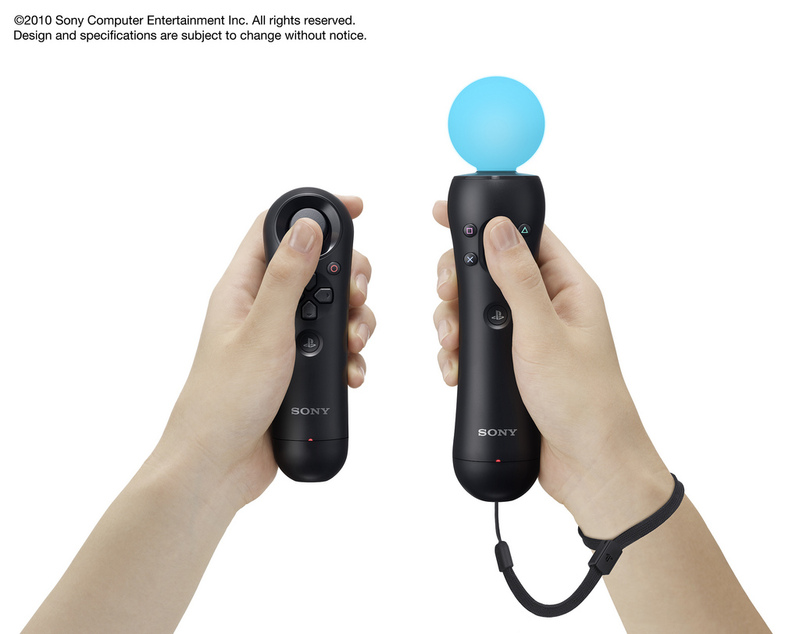 At the same time, SCE will also release the PlayStation Move sub-controller to be used along with the motion controller for intuitive navigation of in-game characters and objects. The PlayStation Move platform, including the motion controller, sub-controller and PlayStation Eye camera, together with a strong line-up of software titles, will deliver an innovative and highly immersive experience on the PS3 system. The combination of the PS3 system and PlayStation Eye camera detects the precise movement, angle and absolute position in 3D space of the PlayStation Move motion controller, allowing users to intuitively play a game as if they themselves are within the game. Now this isn’t the first time we’ve seen this controller floating around the Internet. There’s been talk about this device since it was first unveiled in the middle of last year and prototypes were shown off at various games conferences towards the end of the year. Additionally the controller has been in the hands of developers for quite some time since there are already a few titles launching soon that are boasting Move capability, something which is not entirely easy to shoehorn into an existing project. Accelerometer: Crack open a Wii controller and this is what you’ll find on the inside. In essence this senses acceleration in any direction of movement in a 3D world. Note that these things don’t tell you exactly where the controller is or how its oriented so whilst this is sufficient for most motion based games it’s starts to feel a bit lacking when you try to do motion control with more precision. Angular Rate Sensor: In reality this is just a fancy name for a gyroscope which is capable of telling how the controller is tilted. This is something that the Wii controllers don’t have and when you’re playing something like say Mariokart it becomes obvious that the game is guessing on how far the controller is tilted. Having something like this in it lets you do precise motion control, rather than the motion interpretation that many of the Wii games do. Magnetometer: This sensor gauges the controller’s orientation vs the Earth’s very own magnetic field. Primarily used to make sure that the other 2 motion sensors don’t get too far out of whack when you’re throwing yourself all over the living room it can still be used to track the controller’s motion through 3D space. There have been other motion controllers which used similar tech to achieve some pretty good results however I haven’t seen them hit the market yet. That glowy orb thing: Astronomers and space buffs like myself will recognise this strange ornament on the top of the move controller as a Standard Candle. In essence when this orb is combined with the Playstation Eye camera it acts as a sort of tape measure that tells you the distance between the controller and the camera itself. On the surface this wouldn’t seem to be too useful but there’s quite a lot of things you can do with this information and you have even more possibilities when say the orb disappears meaning the player has hidden it. So what initially looked like a rediculous way to tell who’s controller was who’s actually turned out to be yet another bit of their motion detection technology. Of course since you have 2 hands they also have a sub controller that will be available for the Playstation Move. The first part I’m thankful for here is that it’s wireless as whilst the cord for the nun-chuck on the Wii wasn’t too bad it was a little bit of a pain, especially when it got caught on the edge of the coffee table. Additionally it contains all the motion detecting goodness (minus the ball) that the full controller contains, another thing that the Wii lacked. Unfortunately you won’t have a full party of 4 people using the Move + sub controller as it takes up a full controller “slot” on the Playstation 3, meaning you’ll either have 4 full remotes or 2 pairs of each. Annoying when the Wii lets all 4 have their own nun-chuck but I can see their point in doing so. So is this thing going to be worth it? Looking at the list of the games that will get Move compatibility plus the upcoming releases I only see one game on there that I already own (LittleBigPlanet) and really it’s the only one I want to own that’s on that list. Sure you expect that the first generation of games using this are going to be fluff pieces that are somewhat rushed to demonstrate to everyone that yes, it does actually work but it’s still another US$100 that I’m going to have to fork over for yet another peripheral that’s not going to see a great amount of use. I’m sure my wife, who is unashamedly addicted to LittleBigPlanet and the cute sack-people within, will want one so her little avatars will be able to emulate her even more realistically but for the current generation of gamers I can’t see it taking off for at least another year. Most of the big titles these days are cross platform and hence omit motion control simply because it can’t be guaranteed that a user has it. This hasn’t been helped by the fact that all 3 of the console giants are going about motion control in different ways and as such must have their control schemes written specifically for them (Xbox and PS3 are similar enough at least), something I know game developers aren’t keen to do. I can foresee a couple must have titles that will make use of the controller but that will probably only see 1 of them per serious gamer household. The Wii still reigns supreme as the multi player party console. Still should this controller turn out to be as hackable as the Wiimote proved to be then I can see a healthy secondary market for these controllers. They apparently connect via Bluetooth but if they’re anything like the PS3 controllers (which again use Bluetooth) an interface driver will be a long way off for anyone interested in using them, as the controllers themselves took around 2 years before you could use them. To Sony’s credit though they did work right away if they were plugged in via USB. So for the most part I’m excited about the Playstation Move not because it’s Sony’s motion controller answer to the Wii but because it’s actually something of a engineering marvel. Instead of just copying the Wiimote outright (which they did with the Sixaxis controllers) Sony made something that’s technologically superior in almost every way to the aging Wiimote. Time will tell if all this effort was worth it but in the mean time I’m content to sit back and just admire the innards of such a device in my own twisted engineering way. I’ve been gaming since I was able to summon up the hand-eye coordination required to mash the keyboard on my parent’s computers. Still it wasn’t until the original Nintendo Entertainment System came along circa 1987, although I think I got mine sometime in 1989, that I had my first experience with console games. My very first game on this new platform was of course Mario Brothers (combined with Duck Hunt, yeah!) and it provided many a good hour glued to the TV usually with my brother or friends from the neighbour close by. It would seem that the success of the Mario franchise made Nintendo drunk with power and every platform since the NES has had at least one Mario game amongst its launch titles. This wouldn’t really be a problem since they’ve done the same with their other lines of IP (the Link¹ series jumps to mind) but apart from graphics upgrades they’ve basically made the same gear for over 20 years. At its heart the original Mario was just a generic platformer with an interesting set of characters that appealed to the demographic of the time. Indeed it still targets the younger demographic with its relatively fast paced gameplay, bright colour palette and little to no dialogue between the characters. The first few iterations of the Mario IP didn’t vary much from this baseline with the only things being changed were a few game mechanics (such as the Cape, the introduction of Yoshi, etc) and the addition of a world map. The Nintendo64 however mixed things up significantly. Before the introduction of the N64 the only attempt at 3D graphics that had been made on previous Nintendo consoles was the StarFox IP and StuntraceFX (there might be others, but these are the only 2 I can remember). They were extremely simple and used little to no texturing at all. Primarily this was because the Super Nintendo really wasn’t designed to do 3D graphics at all, and as such all the rendering had to be done in software. The N64 on the other hand was built from the ground up to handle 3D, and the controller showed this proudly with its 360 degrees of motion joystick slapped right in the center of it. It would then follow that their flagship character would be redesigned to suit. And, to be honest, he was. Despite the fact that the core game mechanic was essentially unchanged (an extra dimension doesn’t stop a jump puzzle from being a jump puzzle) the addition of the 3rd dimension was the first big change that Mario had seen since his first release almost a decade before. Super Mario 64 demonstrated quite aptly that Nintendo was quite capable of revamping old IP to take advantage of the latest technology. Well it at least seemed that way at the time. The next few releases of Mario began to show some extremely strange behaviour from Nintendo. It would seem that there’s a strong desire to milk the Mario IP for all its worth whilst still trying to maintain a level credibility amongst the gaming community as revolutionary game designers. The next Mario game, released on the Nintendo DS, could be written off as a victim of the platform it was designed for. Super Mario Galaxy broke new ground with the gravity mechanic that lead to some amazing emergent gameplay and would’ve made a good game without the Mario IP backing it. New Super Mario Bros. Wii has no excuse however, and is a straight up rehash of Super Mario World with prettier graphics and some new mini-games. I played it for a good hour the other day and swore that one of the levels we were on was a direct rip from one of the older games, the level just had more pixels. What is Nintendo playing at here? I can understand that using a popular IP is a sure fire way to make a popular game but save for technology changes that have forced Nintendo’s hand (and, to their credit, they stepped up to the challenge) they are quite happy to make the same game several times over. Had I not seen the blatant rip off that was the New Super Mario Bros Wii this post would’ve had a completely different tune to it, hailing the triumphs of Nintendo to progress significantly with the times. However releasing something that is comparable to a 20 year old platformer seems cheap and uninspired. If the rumours are anything to go by they’re going to do the same with Super Mario Galaxy 2, with the new additions including Yoshi (surprise surprise). Despite all this angst I can’t deny the success that the Mario franchise has had. Their initial demographic has grown up and out of the genre and yet are still drawn to the Mario series. Still Nintendo is the only company to get away with this sort of invention for so long, with any competitor who attempts the same shot down as trite and un-original. Perhaps I don’t give them enough credit, it’s quite possible they’ve done the numbers on completely reinventing the Mario IP and the best scenario is to do exactly what they’re doing. The money trail certaintly agrees with them. I guess in this world of almost infinite choice when it comes to games Mario becomes an easy target to harp on about being un-original, but that ignores that they’ve been doing this for so long. Whilst I don’t currently own a Nintendo console it doesn’t stop me from wanting one, even if just for the brief moments where I might slip back for a quick level or two with my old friend the Italian plumber. Furious Flapping (or The Rise of Motion Controllers). I remember when sensing motion was one of those things that you just couldn’t do without a lot of work and a decent amount of hardware. I dabbled in it a while ago managing to make a program that could control Winamp by waving your hands about in a certain area¹. However since Nintendo decided to foray into this world with the Wii console it seems everyone has been busy falling over themselves to somehow integrate motion detection technology into their console. Sony quickly slapped the sixaxis controller together but it seemed like Microsoft was keen to take a back seat on this one. That was until they announced Project Natal doing away with controllers completely, akin to the Playstation Eye range of products but much more advanced. Sony also announced another attempt at the motion control market recently, however the details on it are a little sparse. Now don’t get me wrong, I love new approaches to existing problems (inputdev being a very interesting field in itself) however I’ve found the novelty value in these kinds of things wears off pretty quickly. We had a Wii in my sharehouse the day it came out and I can tell you for the next couple weeks we were hooked on the thing. Everything from Wii sports through to creating many Mii characters (if you ever see DiscoStalin running around on your Wii, that was one of my creations) was met with hours upon hours of game play. But then we got tired of it and I really haven’t played the Wii seriously since. Maybe I’ve just grown out of the niche that Nintendo is marketing to but I can’t help but feel that these types of games have a market that, whilst large, is transitive and will move on once the novelty of motion controlled gaming wears off. There is however a happy little niche for these kinds of control mechanisms and thats firmly within the casual gaming market. If you’re a gamer and you try to get your non-gamer pals in on something you’ll often find yourself explaining the control system for about 5 to 10 minutes before you can get on and play. 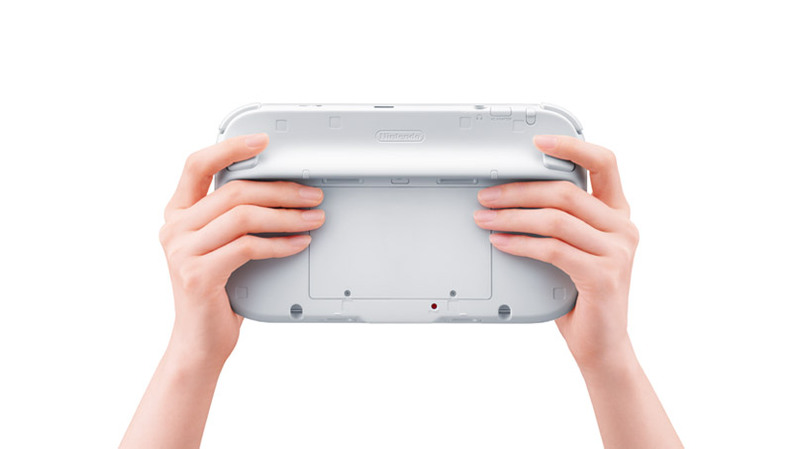 The motion based systems are a step towards removing that gap, although if the Wii is any indication the intuitive movement for an action might not be the one the console recognises, leaving you flailing madly to get it to work. The sport games do quite well in this regard, since they mimic the real thing. For the current generation of loyal gamers who started off with the keyboard and mouse and slowly worked their way through the various controller options that the console makers threw at us I think the majority will prefer your stock standard method of interfacing. If we want to get up and jump around we’ll go and do that but for the most part when we play our games we’re either hunched over the computer or lazing on the couch with a controller, and that’s part of the appeal. There are some notable exceptions to this rule, like Light Sabers on the Wii, but overall I think the handheld controller is here to stay for a long time, just like the computer mouse. ¹Since I’m sure some people would love to see this thing in action I’ve uploaded the source and a compiled version of it here. The way it works is you start up the WebCam.exe first (located in the WebCam\Bin\Debug folder) and then hit the Generate Process List button. This will then populate the left most dropdown box with a list of all the windows it can target. Select the window that corresponds to Winamp (should be either Winamp or the name of the song currently playing). This will then populate the rightmost dropdown with a number, don’t change it as it won’t work otherwise. Now you see the boxes at the top of the application? Those are the keys that correspond to the 5 sections of the top of the image your webcame sees. These have been autoprogrammed for the Winamp default, but you can change them if you’re using say a different MP3 player or you want to control something else. Anyway, start waving your hand at the top of the screen. You’ll notice a bar filling up (probably several since it takes a little practice to use), once that reaches the top it will then send the key for that area to the program you choose. Voila you’ve controlled Winamp by flailing around in front of a webcam, amazing! Told you I’d give you something interesting today.